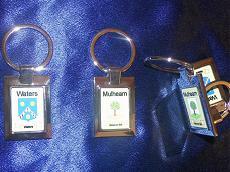 Show Off with a Personalized Keyring - Makes a Great mini-Gift! 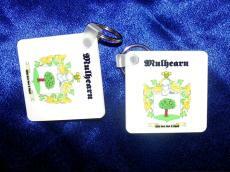 Personalized Keyrings to Show Off Your Heritage! Available in silver plate metal or tough plastic our unique keyrings can help your keys be identified if lost and found. Free Delivery! For a limited time we are offering no added delivery costs whatsoever. Usual delivery time is 7 to 14 days. Secure Ordering. Our Site uses secure SSL ordering to process credit card details so your details are safe and sound!